The following images and descriptions were contributed by Jack Decker. As time permits, he will send additional material for this page. "Early AE (Automatic Electric) phones were ugly AND heavy (I think the handsets were designed to encourage people not to stay on the phone too long, they were so heavy!). Later ones were actually better with regard to weight, but still kind of ugly compared to WE units (it was particularly noticeable in the handsets). I think that GTE saw the handwriting on the wall when customers were allowed to buy their own phones and wanted no part of the ugly GTE style - it didn't take long for the GTE Phone Marts to start carrying phones that looked like "real" Bell phones, since customers could easily find better looking phones at local department/discount/electronics stores. The exception was the Space-maker... in my opinion the WE version was the ugly duckling, while the GTE version was downright sleek in comparison. I think that it why I recall seeing quite a few of that style in GTE territory, and very few in Bell areas. Of course the GTE version used the same ugly handset as was used on their other models, but I guess you can't have everything." The 183 Space-maker phone - "It was the first attempt at a really compact phone for situations where you didn't have a lot of wall space to work with, or wanted to mount a phone on a corner of a desk or something. Of course, nowadays you'd use a dial-in-handset ("Trimline" style) phone in those situations, but I still thought the design of the 183's was kind of cool. Bell offered something a bit similar for a while but it was much more clunky looking, I don't think the dial was nearly as adjustable, and it only came in black. Of course in those days, you didn't have a choice, if you were on the Bell System you took what Bell offered (although I had a neighbor that somehow acquired a 183 and had it hooked up in the basement, in Bell territory... somehow I don't think Ma Bell knew about it, and since it didn't have a ringer I don't think they ever found out!)." To view the entire page showing the 183 Space-Maker, 881-A Speakerphone, 95 Panelphone, and 90-M Wallphone, click here. Other GTE/AE single-line station phones can be viewed by clicking here. GTE/AE Railroad telephones can be viewed by clicking here. Another of the "superior" features taunted by AE with their type 80 design over the WE 500 design was their "walking handset." If it is hung up "not just right," it always slides down into the molded cradle where it belongs. It is much less likely to be hung up cockeyed and not cause the hookswitch to disconnect and cause Receiver off Hook trouble conditions. That was perceived to be a defect of the Western Electric 500 design where an improperly hung up handset would stay propped up and not disconnect. Compare the two and you will see. Also, inside it has a feature so an installer/repairman could push down on the switch hook bar and it stayed locked with the contacts open, just like when the receiver was on the hook. This kept the handset disconnected while he had the housing cover off, thus not seize switching equipment or interfere with others trying to use the line while he was working inside the phone. Perceived to be very important in a day when a high percentage of residential subscribers were on party lines. Facts like the smooth dial, and the above features, I have tucked away in my memory from AE Co.'s advertisements from about 45 years ago. Beauty is in the eyes of the beholder, as they always say. Another walk down memory lane by Roger Conklin . . .
Before Bell Telephone had bought out the competing Miami Telephone Company (Florida, U.S.A.), Automatic Electric had installed dial phones in Miami. Bell operated a manual common battery system, but Miami Tel. 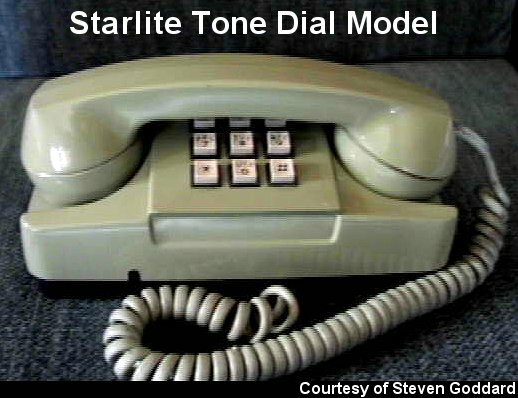 had a "leading edge technology" dial system. ITT Kellogg started making telephones under a license with Western Electric in the early 1950s, rather than develop their own extended number plate look-alike. At first ITT Kellogg's phones were identical inside to Western Electric's, but had a slightly different shape on the outside for both the handset (it was rounded) and the base housing (different curves than the Western Electric 500), but after a couple of years they make the outside look like Western Electric as well. Stromberg developed their own "look alike 1543 with an extended dial number place, which was really their 1243 in a different outer housing and handset, hoping to be able to modernize their set with a minimum of investment. But many of the independent telephone companies decided it was better buy phones from ITT Kellogg because they looked more like what the neighboring Bell companies were installing. 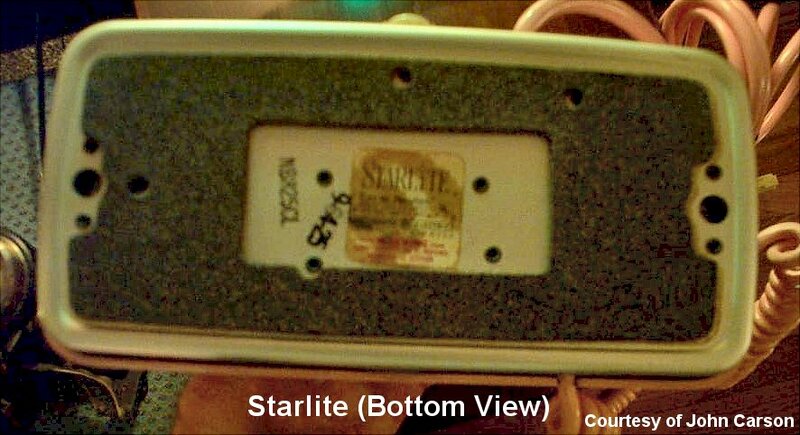 Stromberg's phone sales slipped badly, so they decided to follow ITT Kellogg's example and take out a license to make the Western Electric set as well. That helped them to recapture market share lost to ITT Kellogg. Automatic Electric, started by Almon B. Strowger, the inventor of the dial telephone, did not wish to emulate Western Electric. They were still arch-enemies from the days when the Bell System was purchasing competing independent telephone companies, junking their Automatic Electric Strowger switches and replacing dial service with manual service using Western Electric manual switchboards. At one point in time Automatic Electric was nearly bankrupt as the mighty Bell System was buying out Automatic Electric's customers, throwing out their automatic switches and thus pushing Automatic Electric's back up against the wall, leaving Automatic Electric with a much reduced potential market. Discontinuing dial service was usually accompanied with a great deal of fanfare about how much easier it was to use a manual telephone, and how much better it was to have a live human being, rather than an impersonal machine, at your beck and call. There was great pride at Automatic Electric about their own products, and they were not about to stoop so low as to take out a license from Western Electric to manufacture dial telephones. After all, Automatic Electric had invented the dial and they always considered their own dial to be far superior to anything that Western Electric had ever come up with. 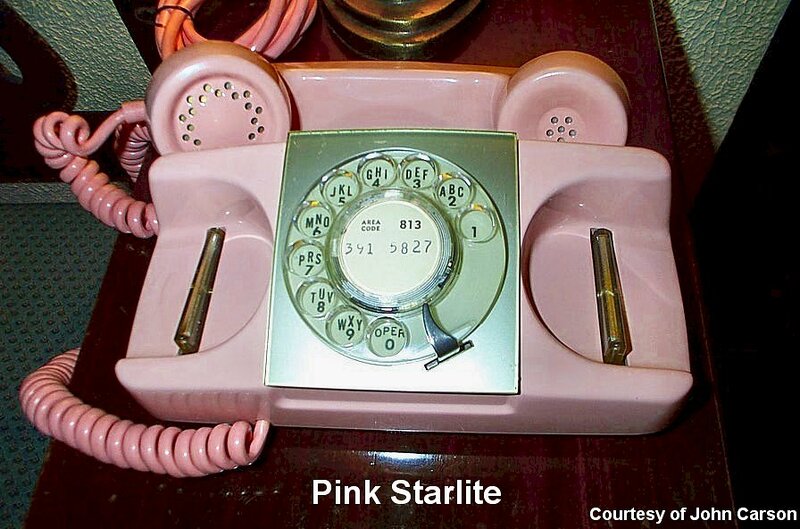 The Automatic Electric dial in the 1950s was totally silent when you wound it up. A fact proclaimed loudly in their advertisements at that time. The Western Electric dials on the 500 sets made a loud noise when they were wound up. Although some considered the Automatic Electric sets ugly, others considered them beautiful when compared to what Western Electric was making. Beauty is in the eyes of the beholder. 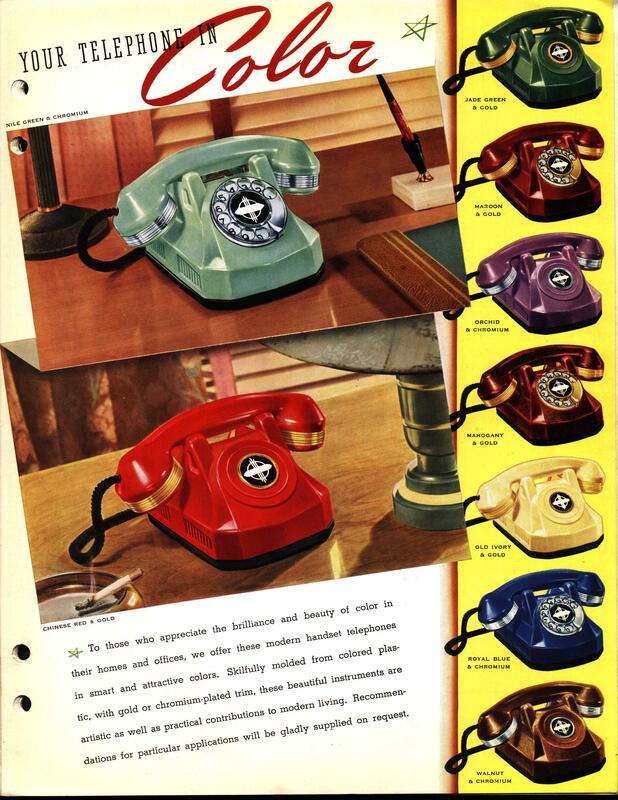 By this time Automatic Electric had become part of the General Telephone System (later known as GTE) and thus had an assured market for their own telephone set design. Quite a few of the independents, still steeped in the tradition of the wars between the independents and Bell which was still running strong, well into the 1920's, likewise wouldn't consider the Western Electric design phones from ITT (which later dropped the Kellogg name) or Stromberg Carlson, because this would mean giving tacit lip respect to the enemy. ITT and Stromberg did really well with the REA borrowers and the hundreds of smaller independents, like Winter Park Telephone (Winter Park, Florida, U.S.A.), which dotted the landscape in those days. It was not only a case of AE wanting to be different, but many of their good telephone company customers wanting to be different as well. Why did Western Electric not take a license and manufacture the Automatic Electric dial when the Bell System finally decided that if they were going to survive, they would have to eat crow and start installing Automatic equipment and abandon their "not-invented-here" mentality of opposition to automatic dial telephone service? They did some strange things to make their first dials look different so they would not be accused of plagiarizing the Automatic Electric design. 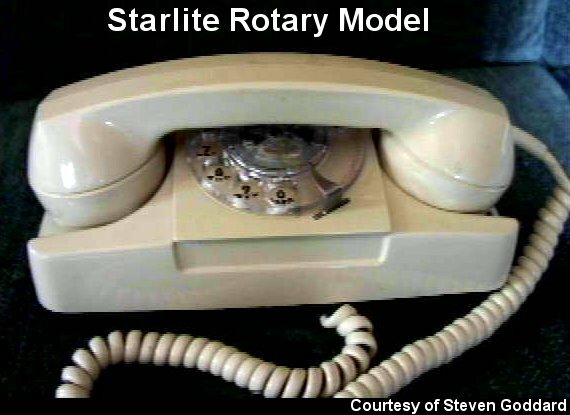 First of all, their early dials, made and sold in Europe with the first Rotary systems made there by International Western Electric, had the finger stop in the 7 o'clock position. Then they started numbering the dials backwards, with the 9 where the 1 is, 8 where the 2 is, The numbering, starting with the first hole, was 9, 8, 7, 6, 5, 4, 3, 2, 1 and 0. They finally settled for the finger stop in the 3 o'clock position rather than in the standard Automatic Electric 5 o'clock position. Why? Just to be different and not to be seen as copying Automatic Electric. Those backwards-numbered dials actually became the standards in New Zealand and Norway where the first Rotary Systems became their national switching system. When DTMF (Touch Tone in Bell's copyrighted terminology) arrived some 50 years later, those countries were still using backwards dials. If you dialed 1 it put out 9 pulses. Only the number of pulses with the 5 and the 0 were the same as the as the Automatic Electric dial. That design was soon abandoned, but not until Norway and New Zealand had made it their national standard for many years to come. There was absolutely no technical reason for the backwards-numbered dial. It was only to be different. What made the Bell System drop it's opposition to the dial telephone? Two things: Economics and a telephone operators strike in Boston which completely shut down their manual system there for a whole week. There had never been a major operators strike before. A few minor strikes, but nothing like this. Operators where considered to "professional" like doctors and firemen, for them to ever go on strike was beyond anybody's wildest imagination. Boston, a hotbed of the militant early labor movement in this country, was the 4th largest city in the US back in April of 1919 when that strike occurred. AT&T had to literally give away the store to settle it and get the operators back to their switchboards. If they didn't do something to cut operator costs, the rate increase necessary to continue operating would have been a bombshell not likely to have been taken lightly by their subscribers. They had to find a way to cut costs and cut them drastically, or face financial ruin. Theodore Gary had an option to purchase the nearly bankrupt Automatic Electric Company, almost ready to go out of business because AT&T was buying out many of it's good competing independent telephone company customers, and tearing out their automatic equipment, replacing it with Western Electric manual switchboards. When news of the strike hit the newspapers in Chicago, Gary boarded the overnight train from Chicago to New York and went directly to AT&T headquarters where he asked to see Theodore N. Vail, president. He did not have an appointment. They knew each other well because Gary was the owner of several independent telephone companies and had been deeply involved in the Bell-Independent battles. He had won some and lost some. The two men were not friends. They were rivals. Ushered into Vail's office he lost no time in proposing that AT&T sign a long term contract with Automatic Electric (which he did not yet own) to supply dial switching equipment to the Bell System. At first Vail's reply was negative, reminding Gary that AT&T had evaluated "machine switching" as he called it, and decided against it. But as Gary reminded him about the disastrous then-in-progress operators strike in Boston, Vail asked him "how much per line?" Gary gave him a figure and added that he would require a 10% down payment because such a large undertaking would require a lot of working capital. Vail didn't say no. Instead he said he wanted to think about it and asked Gary to come back the next morning for his answer. The next day when Gary arrived, Vail had a draft 5 year contract all prepared. It was signed, Gary got his 10% down payment (which he used to buy control of Automatic Electric) and the die was cast. The Bell System was on the way to providing dial service in the medium and large cities in the US. This was the first of several 5 year contracts between Automatic Electric and AT&T. Western Electric also finished the development of and deployed its own Panel equipment, but Panel was only economically viable for very large cities. Panel was totally out of the question for all but a few large metropolitan centers. I think there were only about 19 cities in the country that ever used Panel equipment. 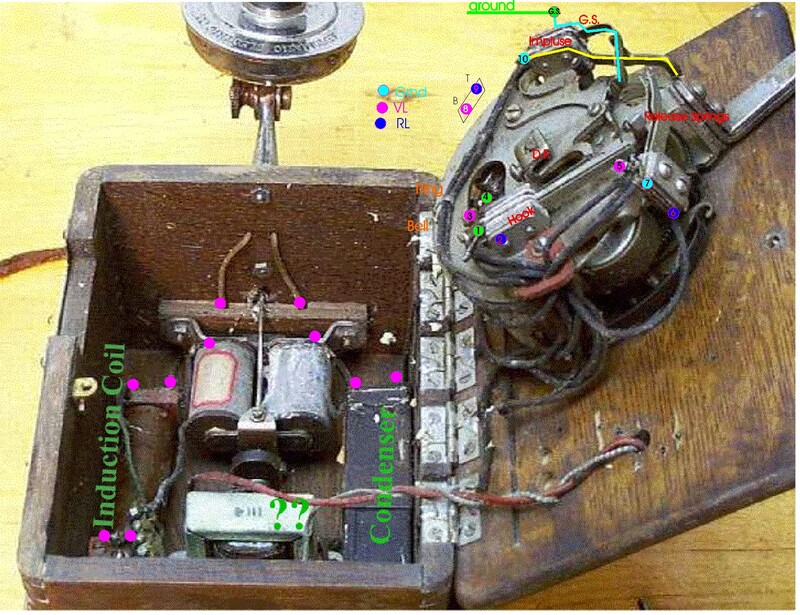 Step by step, first from Automatic Electric and then supplemented by like equipment made by Western Electric under a license from Automatic, became the backbone of the switching network of the Bell System. The operators strike in Boston had changed forever the direction of the Bell System. Pride makes people make strange decisions sometimes. Nowhere is this more evident than in the early and exciting history of the telephone industry. I well remember that manual to dial conversions, particularly in the smaller towns, were always accompanied by newspaper articles lamenting the passing of the local telephone operator. They were really better than voice mail and had a lot more information on what was going locally on than you can find on the internet today. Of course some people were mighty glad that who they called and what they said escaped the scrutiny of the switchboard operator. When people needed help, new spread like wildfire and they got it in a most personal way. So did scandals, so if you had a mistress on the side, there was no way to hide it if you called her on the phone. Your wife would be one of the first to know. If there was a fire, the word was spread and everyone came with their buckets to help. But people on party lines really liked the full frequency selective ringing of the new dial system (at least in the independent companies, where it was used) and the fact that the didn't have to wait when the operator had to leave the switchboard to go to the toilet. If someone died, the neighbors knew and were there to help the family. You didn't have to read an obituary in the newspaper, you already knew about it and arranged to be at the funeral. Today I learn about these things after the funeral has already been held. And on and on. I could write a book about being a telephone operator. 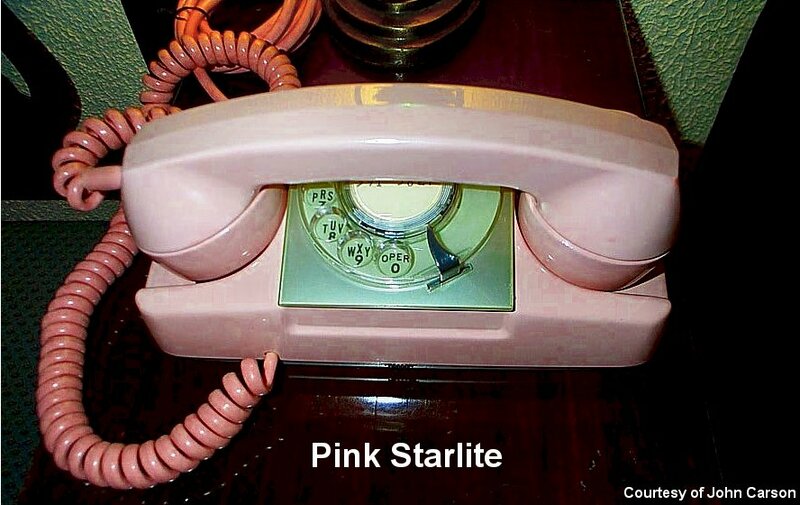 That is where I got my start in the telephone business at 11 years of age. An unforgettable experience. The following two files are samples of Mike Elmore's collection of AE schematics found on his web site at http://www.geocities.com/melmore99/ plus some operational information on AE phones courtesy of Mike. 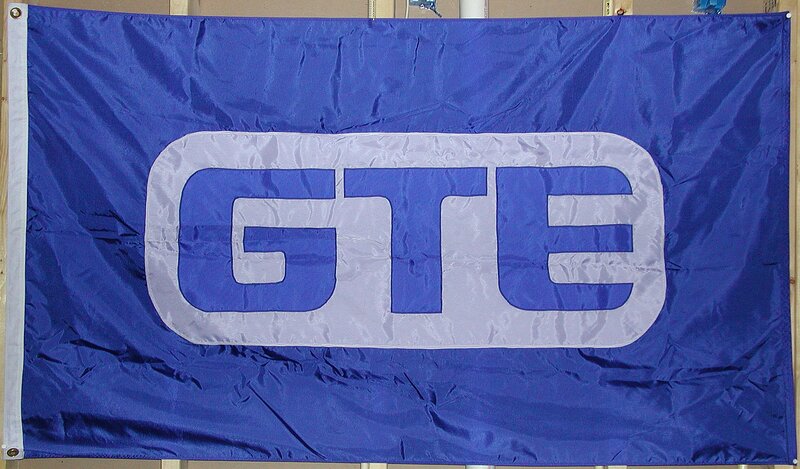 I do not specialize in Automatic Electric (now GTE) products, so please visit his site for more schematics. The following are some drawings/photos of the functional operation of selected AE telephones from a document printed in 1911. Read this text for details. For a brief history of Automatic Electric (MS Word document format), click here (contributed by James William Prather). For a full-color brochure scan of AE phones, click here.